Want to improve performance, efficiency and profit? Find out how we can help! ANS will exhibit at the Elmia Subcontractor fair November 14-17 together with Bodycote. To learn more about the advantages of our surface treatment technologies, please visit us in Hall B, Booth B07:48. 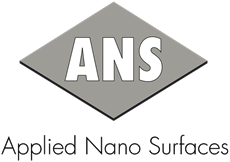 ANS will showcase TriboNite®, an advanced thermal processing technology that, compared to conventional nitriding, has enhanced friction, wear and corrosion performance. TriboNite® is developed in collaboration with Bodycote, global provider of heat treatment and surface technology solutions. The Elmia Subcontractor fair is the leading trade show for the manufacturing industry´s suppliers and customers in northern Europe.